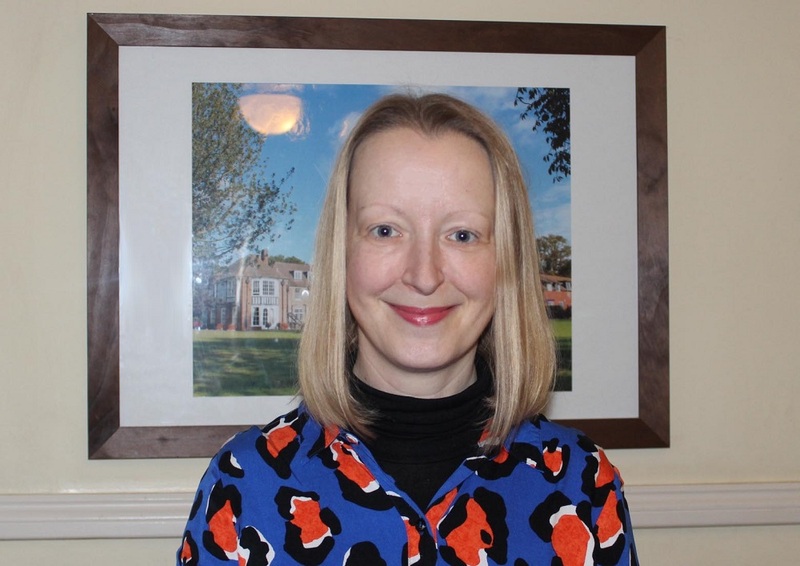 Macmillan Cancer Support | Hethersett Old Hall School (HOHS) blog - an independent day and boarding school near Norwich, Norfolk. Thank you to everyone who baked or bought a cake for our coffee afternoon in aid of Macmillan Cancer Support. We had lots of delicious cakes and biscuits to tempt pupils, parents and staff. Year 12 and 13 did a wonderful job of organising the event and serving the drinks and cakes. With your generous donations, we raised £270. Thank you to everyone who supported this event. Categories: CHARITY WORK @ HOHS, PREP SCHOOL, SCHOOL LIFE, SENIOR SCHOOL, SIXTH FORM | Tags: Macmillan Cancer Support | Permalink. Thank you for helping our Sixth Form raise £588 for Macmillan Cancer Support! Our Sixth Form girls worked hard organising and promoting their Macmillan coffee event yesterday and their efforts certainly paid off! Thanks to the many parents, grandparents, pupils and staff who enjoyed the cakes and bakes, entered the “Best Bake” competition and bought raffle tickets, a whopping £588 has been raised for the charity. The girls will be writing to thank the companies who donated raffle prizes and would like to say a massive thank you, too, to all who came, and especially to those who made or gave items to share. The homemade cakes were judged by our chef Howard Bowen on appearance, texture and taste – congratulations to Matilda’s mum, Mrs Kelly, for the truly scrumptious chocolate cake which won first prize! The worthy runner-up was Hayden, who made a very tasty sponge cake with the help of his Mum and big brother Harvey. Waiting for the doors to open! Chef Howard Bowen naturally had to give the cakes a thorough tasting when judging the best homemade bake! This trio of delicious homemade chocolate cakes didn’t last long! Categories: CHARITY WORK @ HOHS, SCHOOL LIFE, SIXTH FORM | Tags: cake sale, charity, Hethersett Old Hall School, HOHS, Independent School, Macmillan Cancer Support, SIXTH FORM, World's Biggest Coffee Morning, www.hohs-blog.com | Permalink. Macmillan Cake and Coffee tomorrow ! A reminder to all parents and friends that our Sixth Formers are holding a tea party in aid of Macmillan Cancer Support tomorrow, Friday 7th October, from 3.00pm in the Quiet Room. All drinks and cakes will be free, but donations will be much appreciated! There is also a raffle with fantastic prizes including a meal for two at the Queen’s Head. Tickets are 20p each or £1 a strip and will be on sale at the event, or ask at Reception. We would also be grateful for donations from parents of cakes and bakes and will be giving a prize for best home bake! This event replaces our Friday tea and chat sessions in the Quiet Room for this week only – please come and support the girls and this worthy cause! Categories: CHARITY WORK @ HOHS, SIXTH FORM | Tags: 6th form, charity, fundraising, Hethersett Old Hall School, HOHS, Independent School, Macmillan Cancer Support, SIXTH FORM | Permalink. Macmillan Coffee Afternoon – and raffle! We would like to remind everyone that next Friday afternoon (7th October), Years 12 and 13 will be holding a coffee afternoon from 3 – 5pm in the Quiet Room, in aid of Macmillan Cancer Support. Please feel free to pop in either before or after you pick your children up to enjoy some coffee and cake in support of this wonderful charity. This event replaces our usual drop-in tea and chat session. All food and drink will be free but you will be invited to make a donation to the charity. If you would like to donate any coffee or cake for the afternoon, please bring it to the office before Friday (unless it is fresh, in which case, please bring it in before 12:30pm on the day itself). We are also offering a prize for the best bake! RAFFLE TICKETS are also on sale – we have some great prizes (see the poster below). Tickets are £1 a strip or 20 pence each from Reception and on the day! We will draw the prize tickets towards the end of the afternoon. We look forward to seeing you next Friday. Categories: CHARITY WORK @ HOHS, SIXTH FORM | Tags: 6th form, charity, coffee morning, fund raising, girls boarding school, Hethersett Old Hall School, HOHS, Independent School, Macmillan Cancer Support, SIXTH FORM, www.hohs-blog.com | Permalink. Our Sixth Formers are holding a tea party in aid of Macmillan Cancer Support on Friday 7th October, from 3.00pm in the Quiet Room. All drinks and cakes will be free, but donations will be much appreciated! We would also be grateful for donations from parents of tea, coffee, cakes and all things tea party related! This event will replace our new Friday tea and chat sessions in the Quiet Room for this week only – please come and support the girls and this worthy cause! We are delighted to announce that the final total raised by our Year 12 girls from their coffee event earlier this month in aid of Macmillan was £526.23. Very well done, girls! 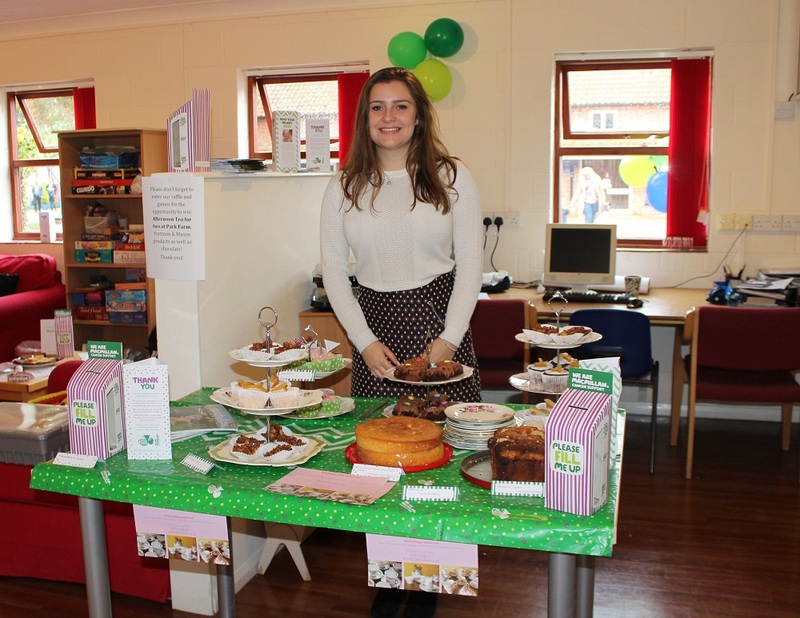 Our Year 12 girls worked very hard to make their Macmillan coffee event a success – and it was! Thanks to the many parents and staff who came and enjoyed the wonderful selection of sandwiches, cakes and biscuits, donations topped the £500 mark. This included a generous £75 contribution from sponsors Fine & Country, who also provided coffee cups. Our grateful thanks also to Tilly’s Vintage Teas, who not only lent pretty crockery but also made a fine selection of cakes and finger sandwiches for the event, and to our other sponsors, Wilkinsons of Norwich, Waitrose, Tesco, Foxes’ Biscuits, Merv’s Hot Bread Kitchen, Yorkshire Tea and Park Farm hotel. Thanks to Miss Desgland for steering the girls through the project as part of their enrichment programme.